Having mobility limitations can be a tough thing to experience. 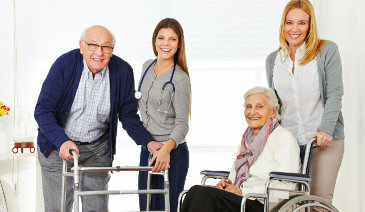 With our home care service, it will never be a hindrance to your day-to-day activities. We have different care options for up to 24 hours a day, 7 days a week, including the option for live-in help. Can I benefit from personal care and companionship services? Many of our clients take advantage of our personal care and companion services because they are looking for help caring for an aging parent or relative. Balancing work, kids, and home life can become even tougher when also trying to help a parent or other family member stay safe and independent. ANGEL CARE VNA can help fill in the gaps so you can feel confident your loved one is in safe, reliable hands when you’re not there.